If you have questions for us or would like to become a sponsor, you can use the form on the right to contact us. To stay informed about upcoming NYC Marketing Mixer events, please subscribe to our mailing list. You can also follow us on Twitter. 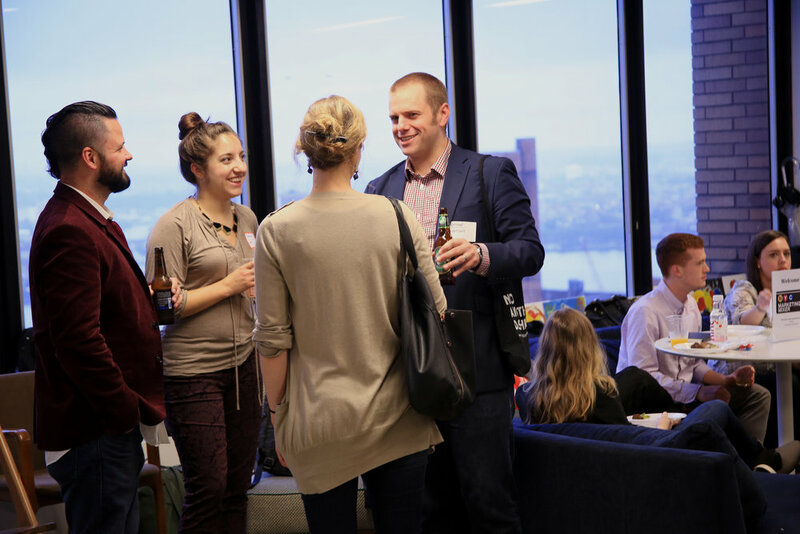 NYC Marketing Mixer is a community of professionals in marketing, branding, innovation, digital, and strategy across all industries, working in New York. 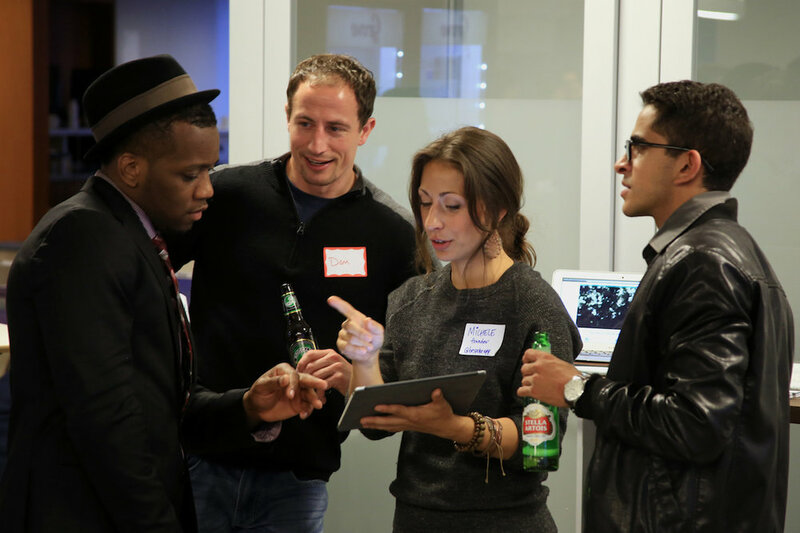 We host monthly happy hour networking meetups at various venues throughout the city. They're an opportunity to connect with other members and meet colleagues from different companies and industries. 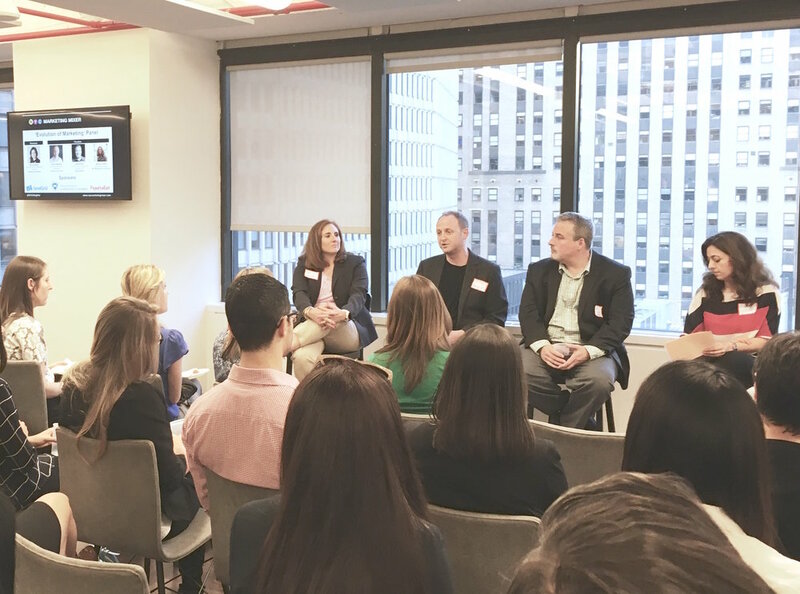 Our events have an average attendance of 80-100 marketers from companies like Pepsi, L'Oreal, Starwood, MTV, Ogilvy, Young & Rubicam, Huge, Bloomingdale's, and American Express. 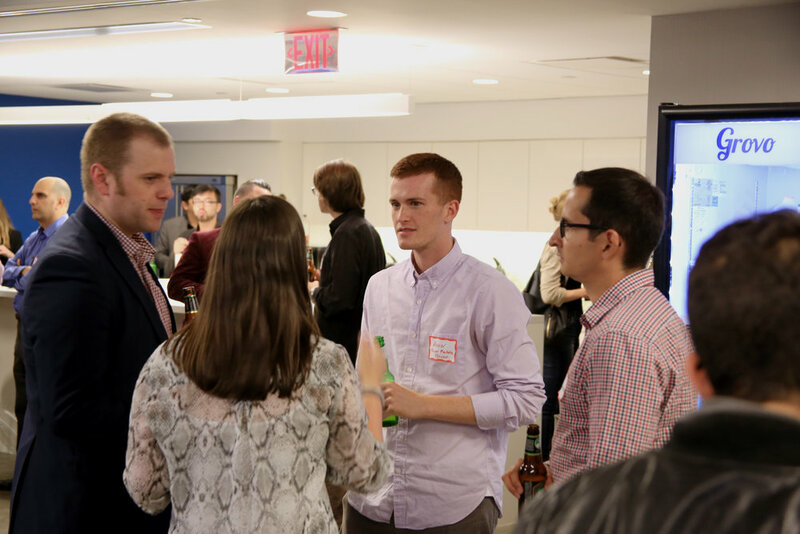 To attend, join our group on Meetup and RSVP for our next networking event. Purchase a ticket for an upcoming event below or visit our Eventbrite page to see all upcoming events.